Super-motards are a lot of fun and how could a company which is known for making fun motorcycles stay away from it for long? So here is Ducati's offering in the super-motard class in the form of the Hypermotard. 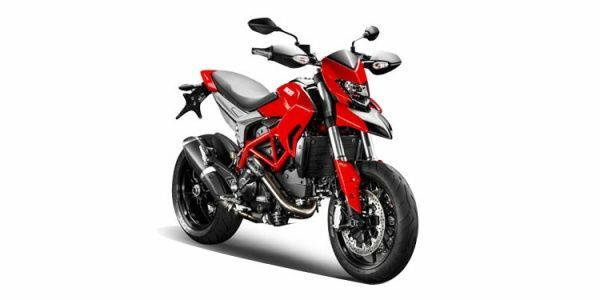 The 2019 iteration of the Ducati Hypermotard 950 and Hypermotard 950 SP have been unveiled at the Ducati World Premiere just days before the EICMA show. The new-generation motorcycle comes with a plethora of improvements to make it a better package overall. For starters, the weight of the chassis is down by 4kg and the ergonomics have been revised with slimmer seat for better dynamics. The 937cc Testastretta 11° engine has been retuned to produce 5PS more (115PS) and 80 per cent of the 96.1Nm peak torque output is available from 3000rpm onwards. Keeping the powertrain in check are Bosch Cornering ABS with slide by brake function, traction control EVO, wheelie control and an optional bi-directional quickshifter. A more premium variant, the Hypermotard 950 SP, comes with a flat seat, long-travel Öhlins suspension for better lean angles, lightweight Marchesini forged wheels and a standard bi-directional quickshifter. 2013 Hypermotard and Hypermotard SP : In Pictures!